This might sound odd, but my #1 goal was to not lose money on my first Denver fix and flip. Now, of course, I wanted to make a profit. But, getting hands on education and increasing my emotional intelligence will pay dividends down the road. Not many real estate investors share that goal! During my sophomore year at Virginia Tech, I started my first business. At the time I compared building a business to earning a college degree. People attend college for four years to earn a degree before ever earning a salary, while often racking up student loans. My logic was that if it takes four years to earn a degree, then at the minimum I needed a four year commitment to my business. That attitude played a big role my success because I rode out the rough times and stayed around long enough to have success. It also taught that I needed to pay my dues and earn a hands on education before having success. The same principles apply to real estate investing. 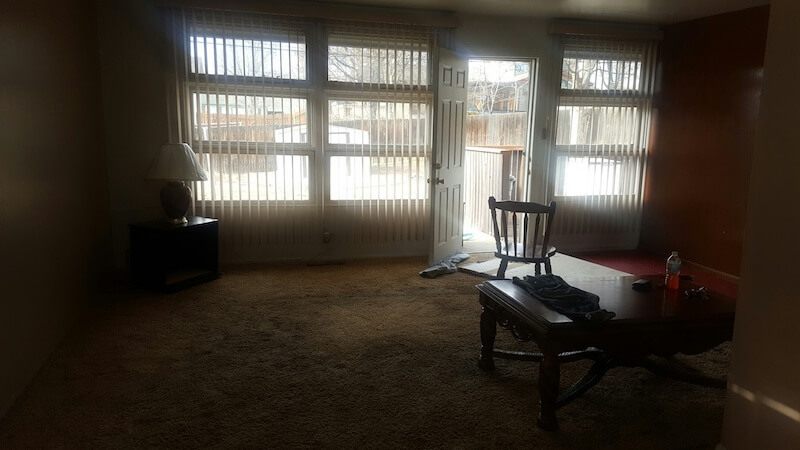 My first Denver fix and flip was my "first semester of my freshman year in fix and flip university." I'd much rather invest money (and even lose some) in a deal, rather than paying $10,000 or some other absurd figure to a guru or seminar. Being in the trenches always teaches more than a guru or weekend seminar. Webinar Topic: Special guest Joe Massey discusses a "what if" scenario of using the BRRRR (Buy, Rehab, Rent, Refinance, Repeat) strategy rather than flipping this property in our August roundup webinar. Click here to access the recording and show notes. A year ago, doing a fix and flip was not on my radar. However, an opportunity to partner on a deal with two cousins materialized and quickly grabbed my attention. It was a 3/1 single family home just north of the I-25 and US-36 interchange. 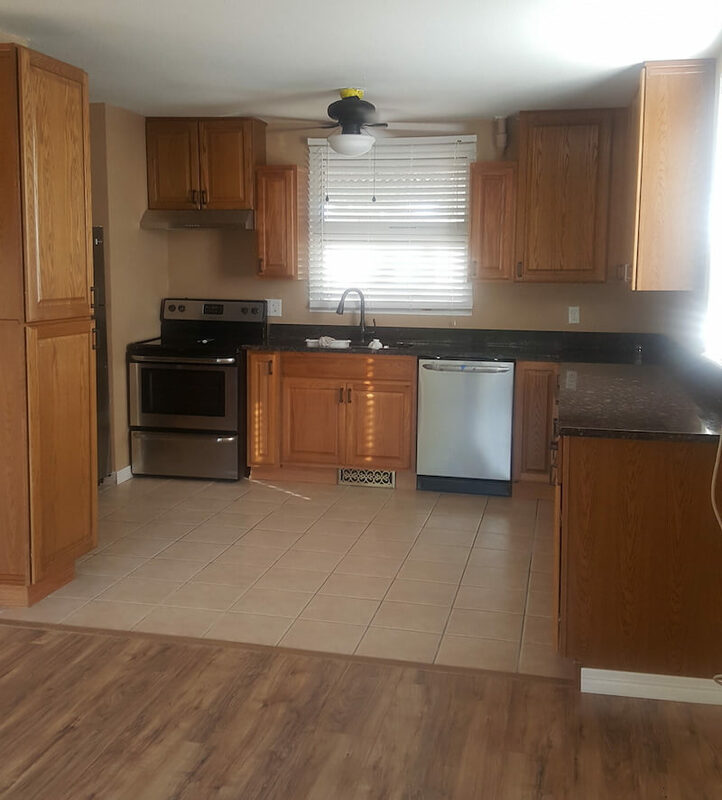 The fix and flip loan required 10% down on the sales price and 10% down on the fix-up escrow. The bank charged 2 points (2% of loan value) as an origination fee and 10% interest. 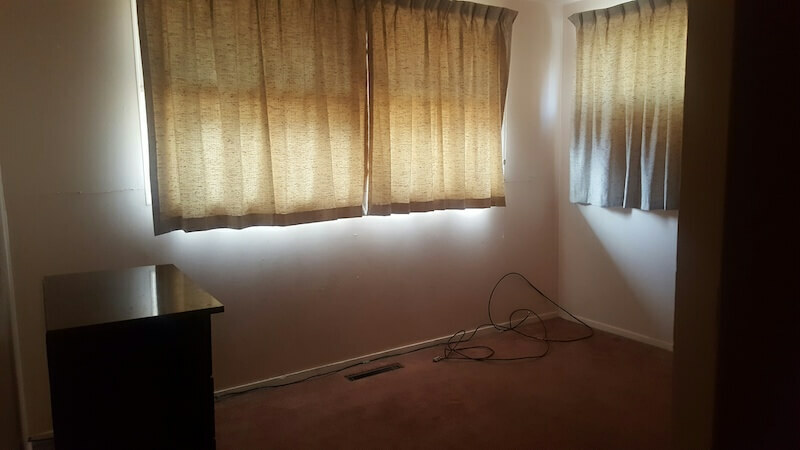 The finance terms were decent for a fix and flip. Putting financing costs into a daily amount motivates me. Our daily interest charge was $51.08. It's easy for me to realize how much each day is costing. The previous owners had added a toilet to the hot water heater closet. Unfortunately, I didn't take pictures of it (lesson learned: take way more photos and organize ASAP!). The video in this post shows the bathroom. Imagine sitting on the toilet and looking at the water heater. There was no sink. It was a very odd "handyman special." 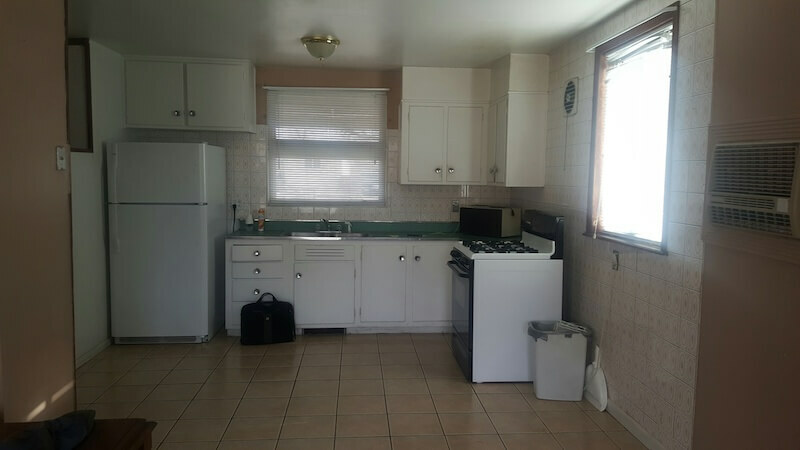 It gave us the idea of moving the water heater to add the luxury of a sink and vanity. If you've ever lived in a place with one bathroom, you really appreciate the second bathroom. 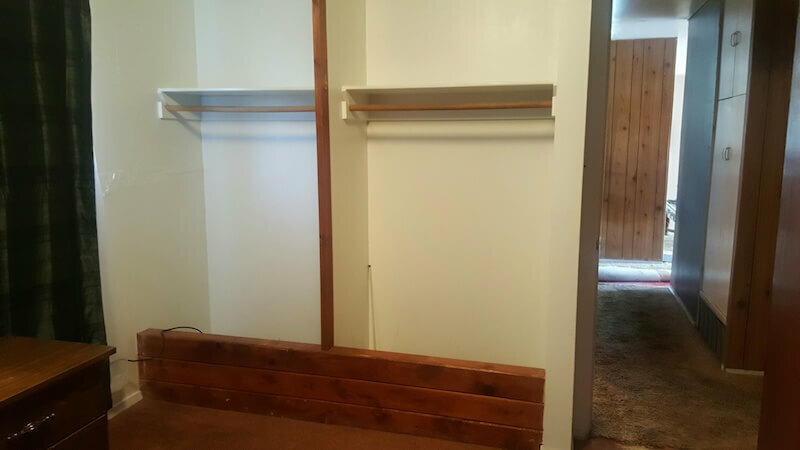 In order to move the water heater to a utility closet, the electrical panel first had to move elsewhere. The utility closet is exterior and required insulation for the water heater. 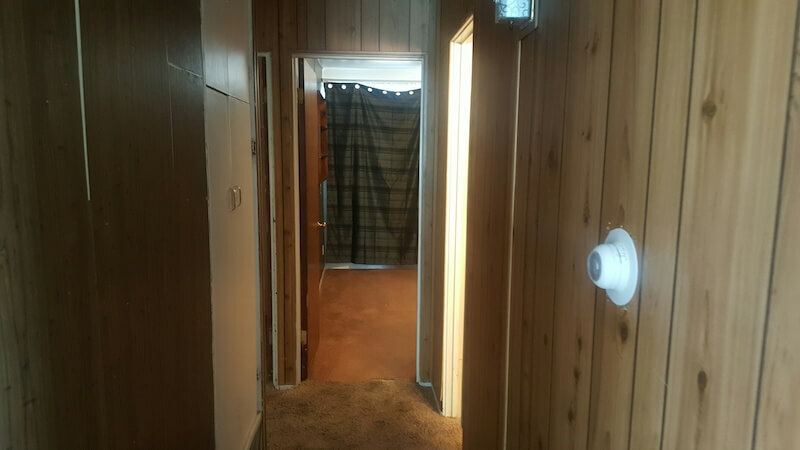 Lots of wood paneling - hoping no surprises beneath it! 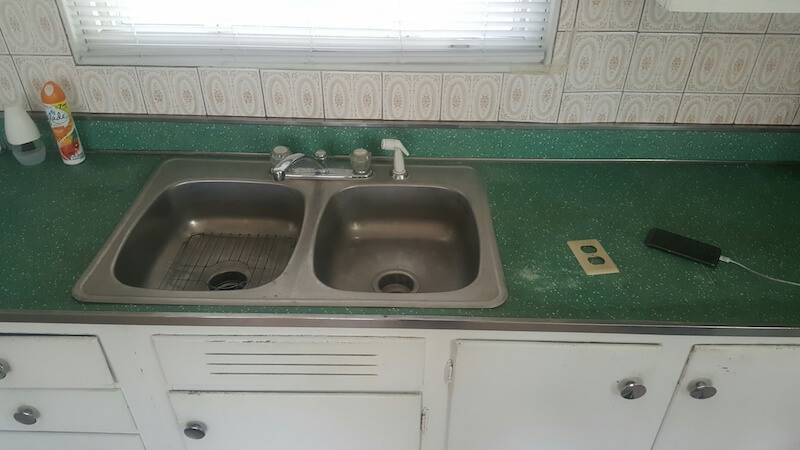 How were green countertops ever a thing! It's not a fix and flip without a few curve balls, right? Curveball #1: All new plumbing required. Our estimate was $500 to handle some basic plumbing issues. Well, the house needed to new plumbing throughout for an additional $3,000. Curveball #2: Project manager has a health emergency at half way point! This was bad on so many levels. My cousin, who was the project manner and person there on a day-to-day basis to oversee things, had a health emergency and had to step aside. I'm a believer in that if you don't have your health, not much else matters. Taking care of his health is the #1 priority. However, not great for our project. Luckily, my other cousin stepped up the plate BIG time. She saved the project and just made it happen. In any project or business, one goal is to have the "right people on the bus." I think this often gets overlooked in investing because everyone is focusing on numbers and spreadsheets. How do you put in a spreadsheet cell that a person has the grit and willpower to get things done. You can't. If you know how to insert that value into cell D12 into Excel, please let me know! Curveball #2 added some more expense and time to the project - but so what! It's better than the other alternatives. I didn't record a video of the house when it was completed (Not sure why - lesson learned that you can never have enough pics and videos). This video shows the house in the middle of the remodel, but you can get a good understanding of how it'll turn out. I prefer building spreadsheets rather than using someone else's because it makes me learn the underlying formulas. 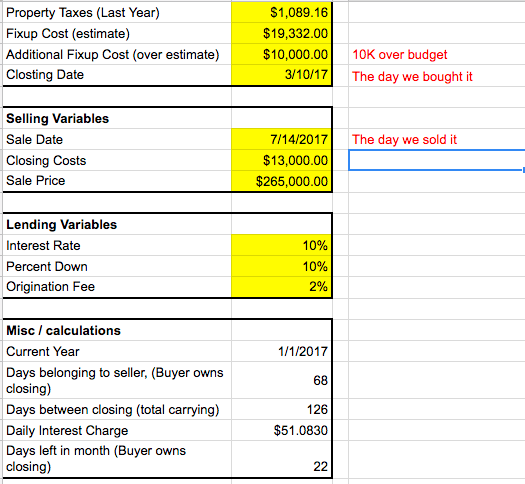 Below are screenshots from a fix and flip calculator that I built on Google sheets. It's still a work in progress. Once I have it fine tuned, I'll share it on the website. The red notes in the right column are my notes to clarify the numbers. Ignore the yellow fields as they were indicators to me for editable fields. I rounded some numbers for the sake of simplicity. Screenshot #1: Snapshot of variables. Screenshot #2: Below is the settlement statement for the purchase. Screenshot #3: Final costs and profit! We went $10,000 over budget. $3,000 for the new plumbing. The other $7,000 is a combination of little things adding up and the cost of materials rising. I have little to compare it to, but it seems the costs of construction is just going up. Readers: any experienced flippers have comments? Fortunately, we underestimated the ARV! We estimated a 245-250k ARV. It sold for $265k. 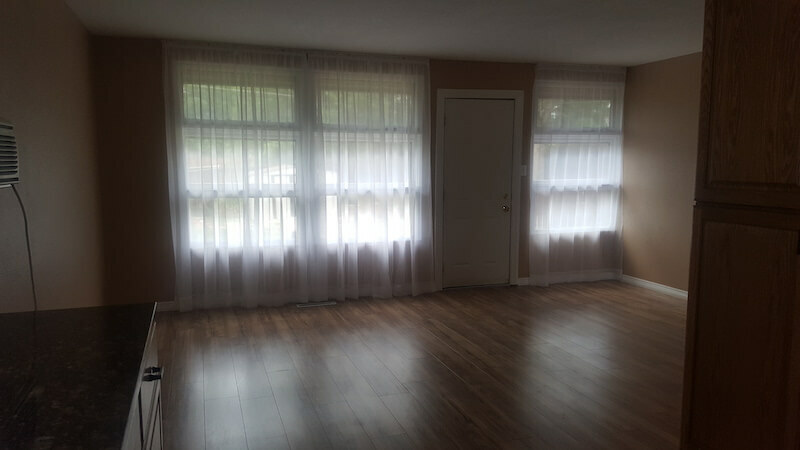 The difference more than made up for our increased renovation and carrying costs. Now, I'm not going to count out that happening every time, but it can certainly happen again since Denver is a rising market. After accounting for a couple of checks coming in after closing (remaining insurance premium, overpaid interest, and water escrow) the profit is around $25,200. I'm thrilled with that number! I got "paid" to go to school. Key assumption: $20,000 in rehab costs, rather than $30,000, to get it rent ready. It probably could be less, but let's err on the high side. 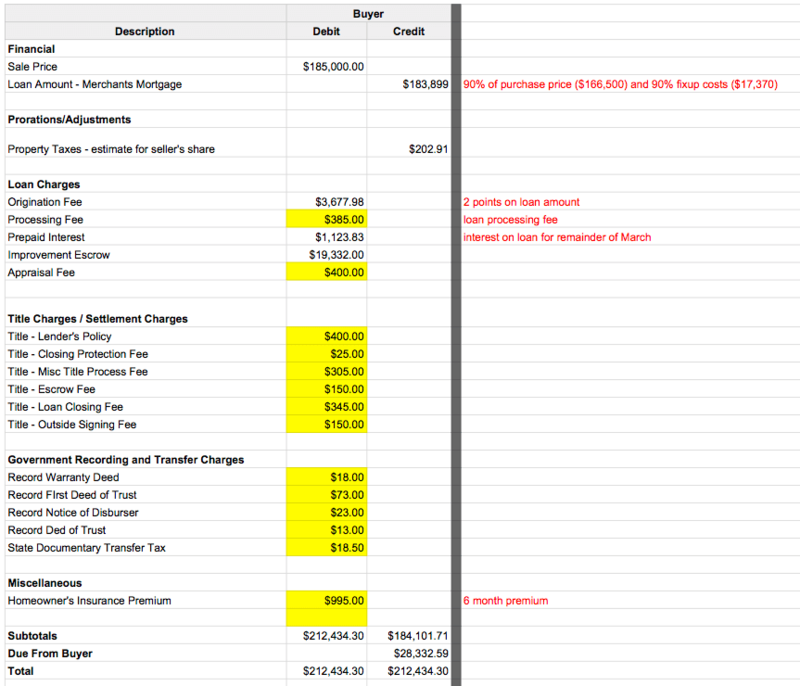 Joe Massey sent over a powerful spreadsheet to help with this analysis. Inputs page: Similar to the other spreadsheet, but additional inputs for hard money. 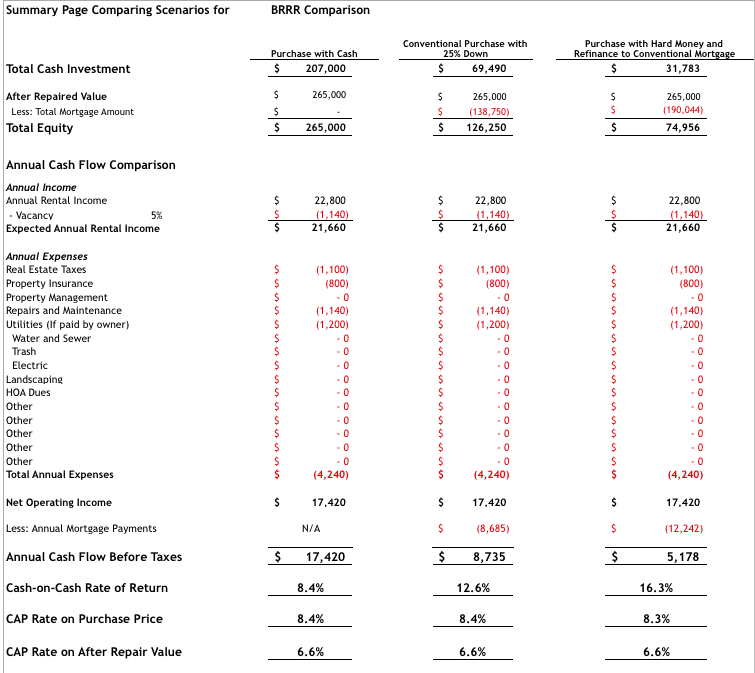 Summary page: Compares multiple scenarios. Look at the far right column for BRRR numbers. 16% cash-on-cash return and 8.3 cap rate are good returns in this market, especially for a single family home. 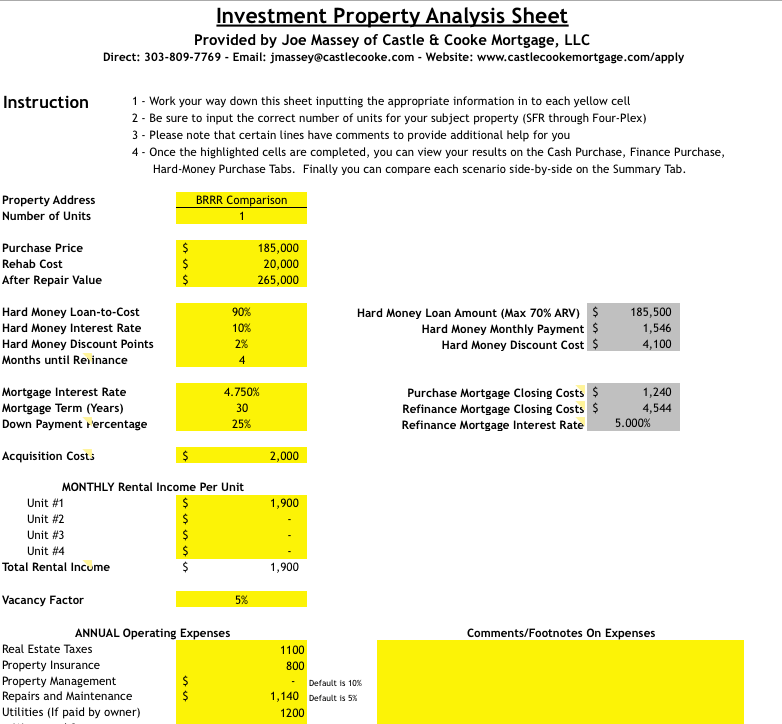 FYI, if you put in a 10% property management fee, it's a 9.1% CoC and 7.2 cap - a great return with little on going work! Readers: would you rather have a $25,000 flip profit or a 3/2 home with $32,000 down and minimal repairs? Do you have a fix/flip refurb company you can recommend? 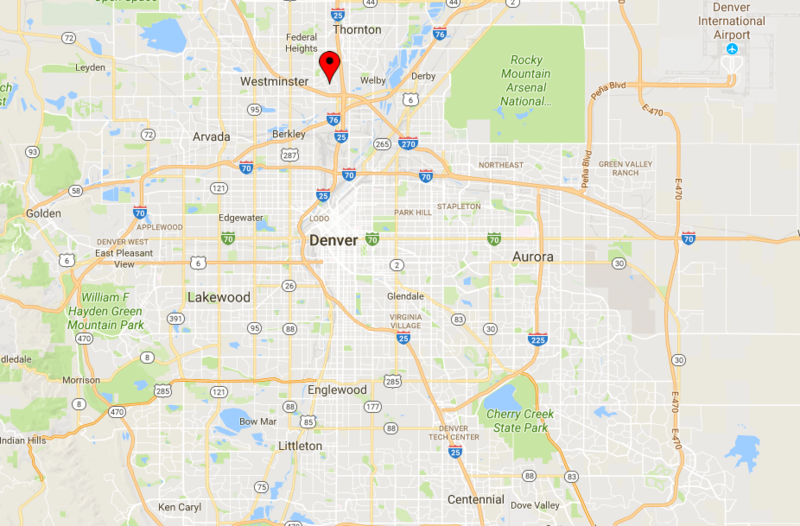 Copyright © 2018 DenverInvestmentRealEstate.com. All Rights Reserved.